(MINNEAPOLIS, MN 8/5/18) - The Minnesota chapter of the Council on American-Islamic Relations (CAIR-MN), today called on law enforcement authorities in that state to investigate vandalism targeting a Maplewood, Minn., mosque as a hate crime. 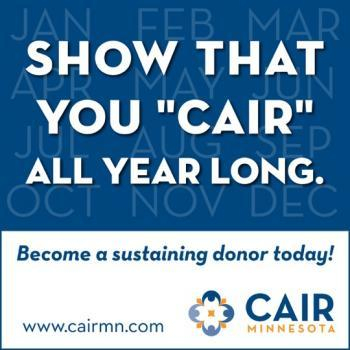 CAIR-Minnesota Disappointed by DHS Extension only of TPS to Somalia and Not Reinstatement. 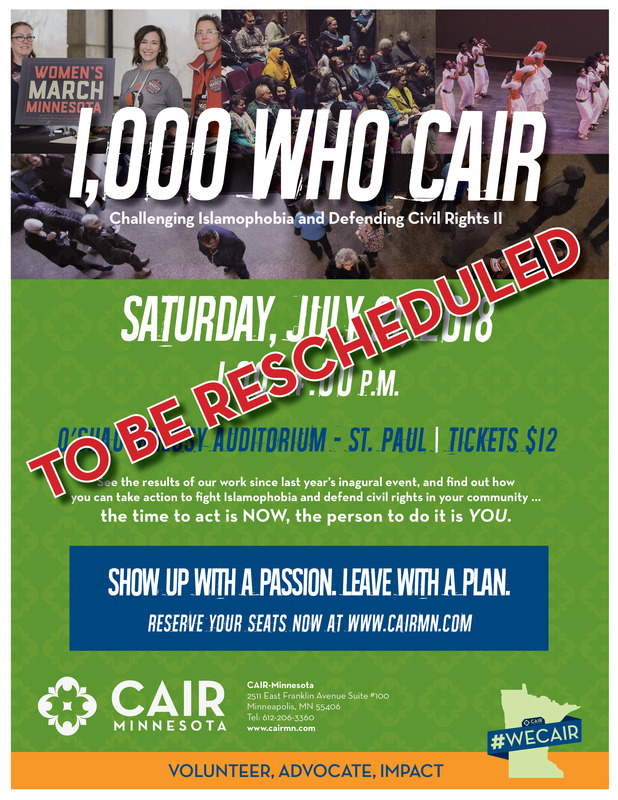 (MINNEAPOLIS, MN, 7/19/18) – The Minnesota chapter of the Council on American-Islamic Relations (CAIR-MN) today expressed disappointment that the Trump administration decided to extend but not redesignate Temporary Protective Status (TPS) for Somali nationals currently in the United States. By only extending for 18 months TPS for Somalis – and not redesignating the status – means that Somali nationals who arrived to the U.S. after May 1, 2012 will not be eligible to apply for TPS. However, the 500 current enrolled TPS holders from Somalia are eligible to re-register for an extension of their status for 18 months, through March 17, 2020. There are an estimated over thousand Somali Nationals that could have enrolled to TPS if it was reinstated. (Minneapolis, MN., 6/21/18) – The Minnesota chapter of the Council on American-Islamic Relations (CAIR-MN) today welcomed the federal civil rights and hate crime charges of the three bombers of the Dar al-Farooq Islamic Center in Bloomington, Minnesota, on August 5, 2017. Today, the Department of Justice announced a five-count federal indictment charging MICHAEL HARI, 47, MICHAEL MCWHORTER, 29, and JOE MORRIS, 23, with federal civil rights and hate crime violations, and using a destructive device in connection with an explosion. With One click. You can send an email to all of the state members of congress NOW. Post Election Community Conversation. All are welcome RSVP.